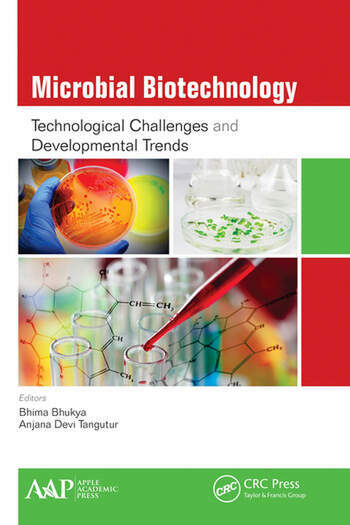 The new volume takes an interdisciplinary look at current technical challenges and recent developmental trends in microbial biotechnology. It covers an avalanche of new information available through research by focusing on a broad spectrum of issues on different microorganisms and their recent applications and implications in agriculture, soil science and forestry, industry, and public health and medicine. Topic include organic chemistry, biomass conversion, optimal production processes for different microbes, screening methods, and application of omics approaches such as (meta) genomics, proteomics, and metabolomics, or other biotechnology tools, to provide a deeper understanding of the microbial-based new and emerging products, trends, processes, and technologies. The chapters present unbiased original research results on microbes by incorporating case studies wherever appropriate. 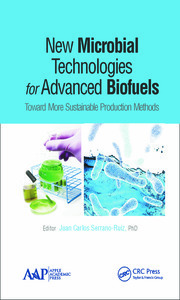 Providing research findings applicable to the development of new methodologies, applications, and technologies, the book will be a valuable resource for people working in various fields of microbiology. Antimicrobial agents: Role and Applications in Medicine and Health Care. Antimicrobial Peptides from Plants and Their Applications. Development of Antitubercular Agents through Hybridization Strategies, Future Challenges, and Perspectives. Novel Bioactive Compounds from an Endophytic Chaetomium arcuatum Strain Saf-2 Isolated from Semecarpus anacardium. Understanding Role of Biomarkers in Pathogenesis of Sepsis. Role of Copper in Modifying Cisplatin-Induced Cytotoxicity in Yeast. Role of Microorganisms in Agriculture and Plant Biotechnology. Role of Microbiome: Insights into the Kin Recognition Process in Oryza sativa by Proteomic and Metabolomic Studies. Associative Effect of Arbuscular Mycorrhizal Fungi and Rhizobium on Plant Growth and Biological Control of Charcoal Rot in Green Gram [Vigna raidata L. (Wilczek)]. Morphological Changes in Vigna radiata Root under Cadmium-Induced Stress in the Presence of Plant Growth Promoting Enterobacter sp. C1D. Potential USe of Trichoderma Species as Promising Plant Growth Stimulator in Tomato (Lycopersicum esculantum L.). Microbial Enzymes and Their Potential Industrial Applications. Strain Improvement of Aspergillus niger for the Enhanced Production of Cellulase in Solid State Fermentation. Screening, Quantification and Purification of Cellulases from Soil Actinomycetes. Kinetics Studies of Alkali-Pretreated Sweet Sorghum Bagasse Using Cellulase. Secretion of Ligninolytic Enzymes by the White Rot Fungus Stereum ostrea Immobilized on Polyurethane Cubes under the Influence of Chlorpyrifos. 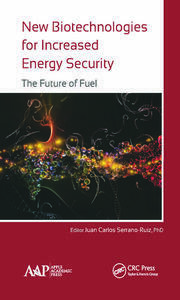 Structure and Gas Diffusion Path Analysis of Hydrogenase Enzymes by Homology Modeling. Nivedita Sahu, Anirudh Nelabhotla, and Pradhan Nityananda. Microorganisms in Environment: Role and Industrial Applications. Saccharomyces cerevisiae as an Efficient Biological Agent for Decolorization of Reactive Dyes in the Textile Industry. Metabolite Profiling and Biological Activities of Extrolites from Aspergillus turcosus Strain KZR131 Isolated from Kaziranga National Park, Assam, India. Morphological, Cultural and Molecular Diversity of the Salt-Tolerant Alkaliphilic Actinomycetes from Saline Habitats. Microbial Population Dynamics of Eastern Ghats of Andhra Pradesh for Xylanase Production. 19. Phylogenetic and Phenogram Based Diversity of Haloalkaliphilic Bacteria from the Saline Desert. 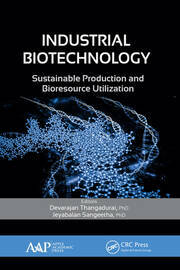 Fungal Biotransformation of Drugs: Potential Applications in the Pharma Industry. Index. Bhima Bhukya, PhD, is currently Head and Assistant Professor at the Department of Microbiology, Osmania University, Hyderabad, India, where he has established a probiotics research laboratory. Dr. Bhima, during his early scientific career, made fundamental contributions in the area of animal probiotics. Subsequently, he contributed toward the development of efficient stress-tolerant probiotic yeast and economically viable medium for large-scale production of yeast. His present research interests lie in recombinant probiotics, proteomics and genomics, animal nutrition, biofuels, and bioprocess engineering. He has many years of teaching experience, including several years of undergraduate (veterinary), over ten years of postgraduate (MSc) teaching, and 15 years of research experience. He was awarded the prestigious Raman postdoctoral fellowship/award in India to study in the USA. Anjana Devi Tangutur, PhD, is a Scientist at Council of Scientific and Industrial Research-Indian Institute of Chemical Technology (CSIR-IICT), Hyderabad, India. Dr. Anjana has over ten years of research experience. She has, to date, a brilliant academic career, and pursued her doctoral degree at the Centre for Cellular & Molecular Biology-CSIR, Hyderabad. Later she joined the Chemical Biology Division of IICT as a Scientist. During her doctoral tenure, she has had significant exposure to various molecular biology and biochemistry approaches and to the mass spectrometry-based proteomics techniques. Dr. Anjana’s research activities at IICT involve screening of small molecules as anticancer agents (NFk-ß, HDAC inhibitors, antitubulin agents, etc.) using various in vitro and in vivo tests. Her research interests lie mainly in applying molecular biology and proteomics based approaches to understand the underlying mechanisms behind disease pathology (in different cancers) or a particular mechanism in a biological system. Her research efforts have been published in reputed international and national journals and conference proceedings. She was selected for the AOHUPO/KSMS young scientist award (HUPO 6th Annual World Congress, Seoul, Korea). She has several ongoing projects funded by DBT, which include the BioCARe award for women scientists (2013–2016) and also the Rapid grant for a young investigator (2013-2016). She served as a subject expert, external examiner, and also a member of the several interview selection committees in colleges, universities, and in the Institute.